Have you ever seen that? 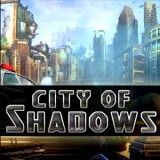 In this game you will have a great chance to walk in the city, where was a real catastrophe. Could you believe that? Then choose the game and be sure that you will cope with it. Are you ready? Then enjoy the game.